Fargo Vector Control to uphold their Socratic oath by spraying for gadflies this spring/summer. Fargo, ND – Aerial sprayers working in conjunction with NDSU bugologists will be taking their fight to the gadfly population this summer, along with the other usual suspects: mosquitoes. 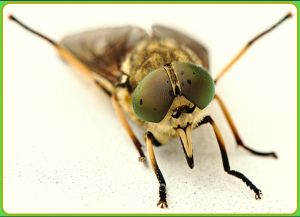 The gadfly (pronounced: gad-fly), which has been a problem since Greek times, is usually only a nuisance to livestock by biting them repeatedly until they start to totally freak out and until the livestock can no longer function normally. However, sometimes insective gadflies can affect the human population in a very similar manner. As Socrates once demonstrated, in some cases, a pestive gadfly can annoy and provoke humans into action by constant biting criticism. A human gadfly is one who upsets societal normality by posing condescending questions that are intended to promote anarchy in the name of progressive liberalism. Luckily, the Gadfly Police will be out in force also trying to rid Fargo of the human gadfly population.